Hi everybody and welcome!! I find myself making a lot of note card sets lately. They are great to have in your stash for a quick gift to a coworker, neighbor or friend and sometimes I find myself using the cards myself. 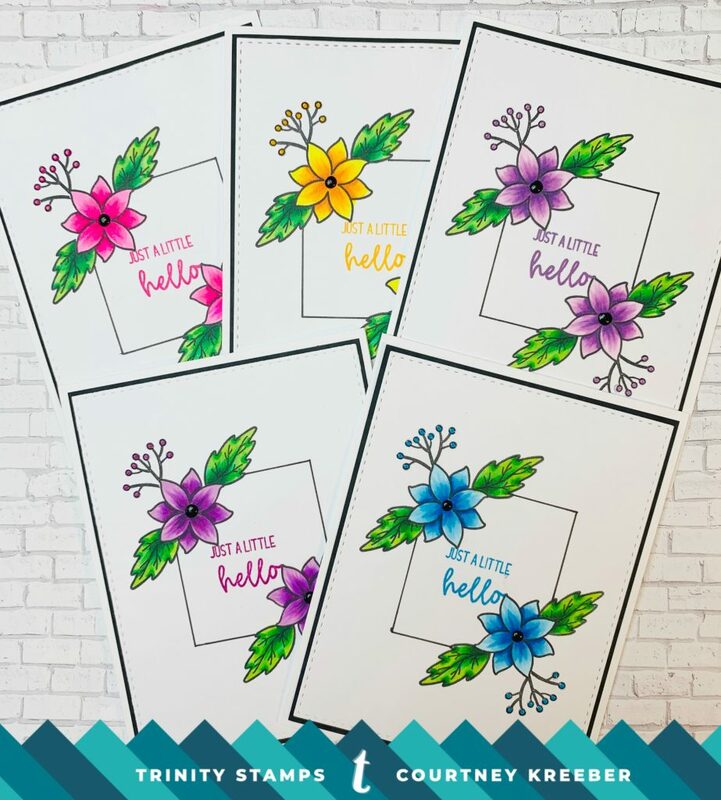 Today, I created a set of 5 note cards using the Winter Botanicals stamp set along with a sentiment from Hello Sweet Friend. 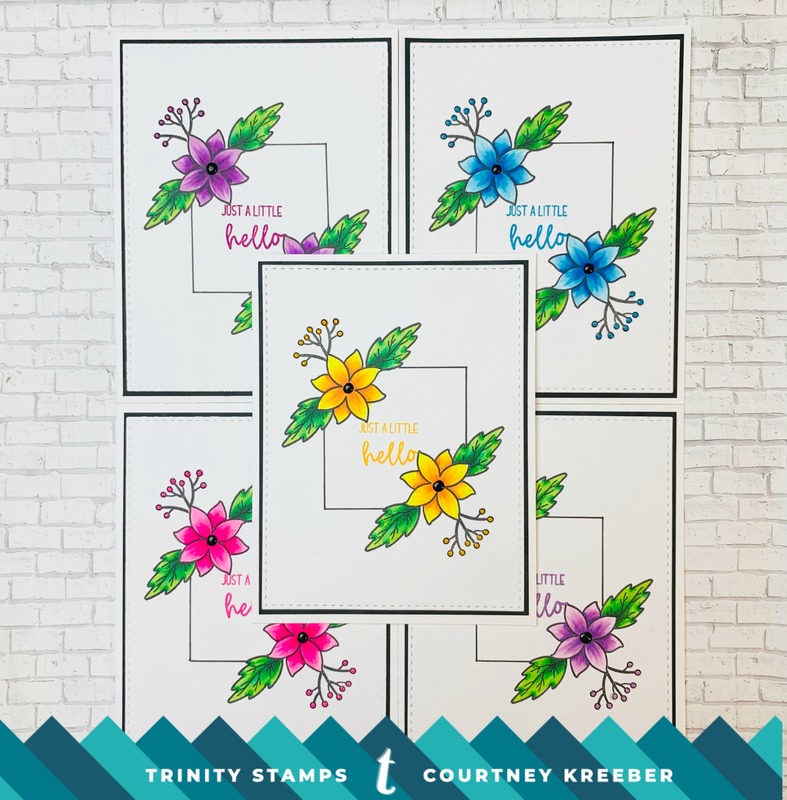 I did some simple stamping and masking and colored each one of the cards using a different color combination. I added a few details with some Nuvo Drops and called this set done. Be sure to check out the video for more information.